The launch weekend for Apple's new iPhone 6 and iPhone 6 Plus was the strongest start yet for the company's smartphone lineup, reaching 10 million units sold in the first three days of availability, and topping last year's previous best of 9 million. "Sales for iPhone 6 and iPhone 6 Plus exceeded our expectations for the launch weekend, and we couldn't be happier," said Apple Chief Executive Tim Cook. "We would like to thank all of our customers for making this our best launch ever, shattering all previous sell-through records by a large margin. While our team managed the manufacturing ramp better than ever before, we could have sold many more iPhones with greater supply and we are working hard to fill orders as quickly as possible." Both the iPhone 6 and iPhone 6 Plus went on sale last Friday in the U.S., Australia, Canada, France, Germany, Hong Kong, Japan, Puerto Rico, Singapore and the U.K. It is scheduled to go on sale in 20 additional countries this Friday, Sept. 26, which would be before the end of the company's September quarter. Apple is planning its fastest iPhone roll-out ever, with the latest models becoming available in a total of 115 countries by the end of 2014. The iPhone 6 and iPhone 6 Plus had already gotten off to a record start prior to launch, reaching 4 million preorders in the first 24 hours of availability. Last year, Apple achieved what was then its strongest iPhone launch with sales of 9 million iPhone 5s and iPhone 5c units. But while last year the new iPhone 5c was the company's mid-range handset, this year the company introduced two top-tier models, including the jumbo-sized 5.5-inch iPhone 6 Plus with a starting price of $299 with a new two-year carrier contract subsidy. Demand for the new iPhones has created a backlog, particularly for the iPhone 6 Plus, which is currently advertised to ship from Apple's online store in three to four weeks. 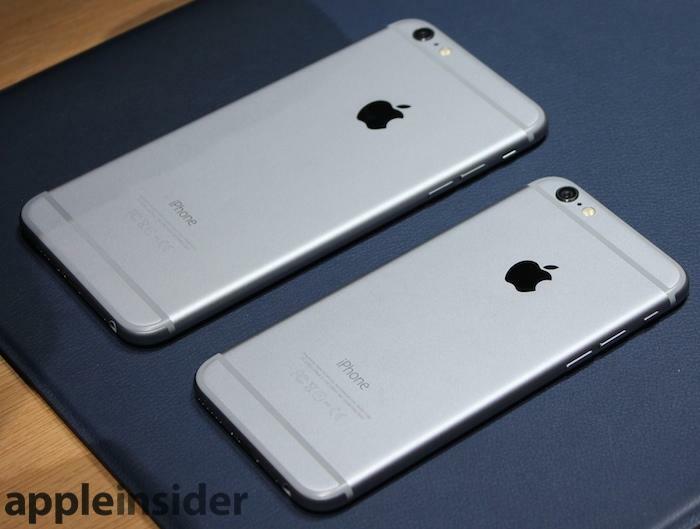 New iPhone 6 orders ship in seven to ten business days. Investors have particularly high hopes for this year's iPhone lineup, predicting that the new, larger screen sizes offered by Apple could be a strong selling point for prospective Android switchers. Some analysts on Wall Street believe the company is on track to sell a record 60 million iPhones in a blockbuster holiday 2014 quarter.